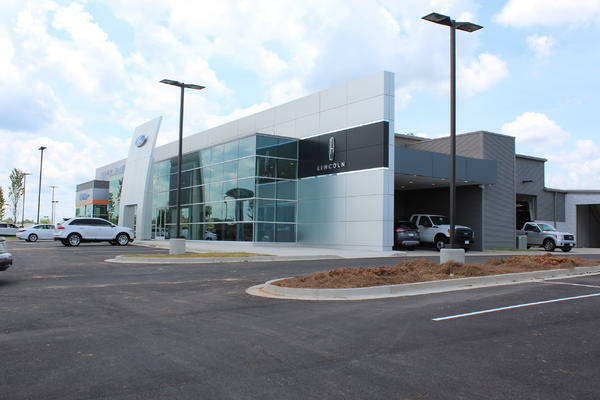 Mike Jones Ford is a new ford dealership in Eastanollee, GA. 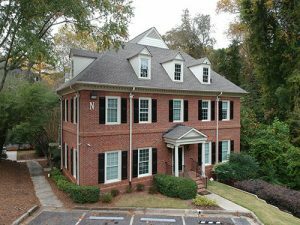 This structure was a design-build project with a contractor. For the economy of the building, a pre-engineered metal building system was selected for the framing. In the middle of the design the metal building manufacturer informed the contractor that they cannot design the Ford brad wall and the front vestibule from metal building components. PEC jumped in and designed a custom truss of 94’-0 span that forms the ford brand wall and the truss also supported the pre-engineered metal building roof purlins. 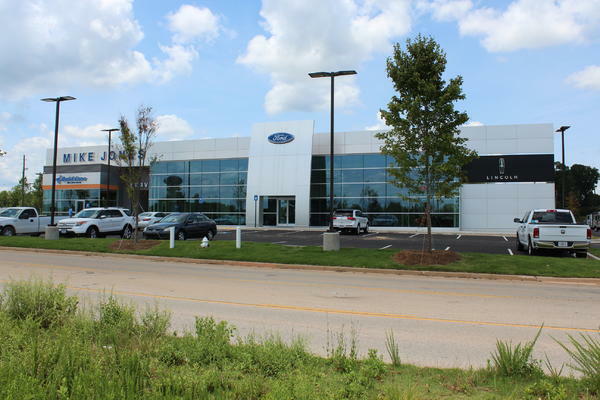 After overcoming this truly difficult design situation that occurred half way thru the project, Mike Jones Ford became a true success story for PEC.